Kids love the colorful, comfortable "splash" grip of Fiskars Softgrip Precision-Tip Kids Scissors — while teachers and parents love the safe design! These scissors feature innovative safety-edge blades that are carefully engineered to cut paper but not skin, hair, or clothes. Ideal for children age four and older, they are backed by the manufacturer's lifetime warranty. 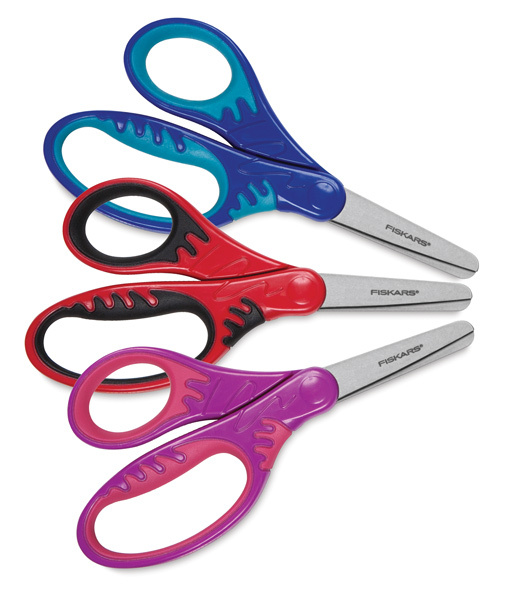 Fiskars Softgrip Precision-Tip Kids Scissors are available in assorted colors (Red/Pink, Blue/Light Blue, or Red/Black) — we choose.